It is proven that recommended routine maintenance saves money by extending the life of your equipment and allows it to run more efficiently. You wouldn't go over a year without changing your oil in your car, and HVACR equipment requires maintenance too. Seasonal inspections and service can help your equipment run more optimally. This will reduce your energy bills and lower your overall facility operational costs. Equipment has a knack of breaking down at the least convenient times. Preventative maintenance can help you be proactive and see issues before they become expensive problems. 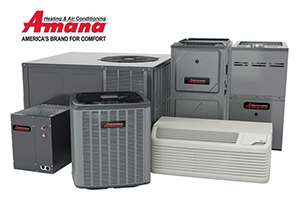 Most people do not realize that to honor your manufacturer's warranty on your equipment, you must have regular seasonal services on your system by a certified HVACR professional. At Aaron York's Quality Air, we track all of this maintenance for our clients and are able to assist them with filing of any warranty claims. Our technicians are the very best in the industry. Contact us today to schedule your seasonal service appointment.